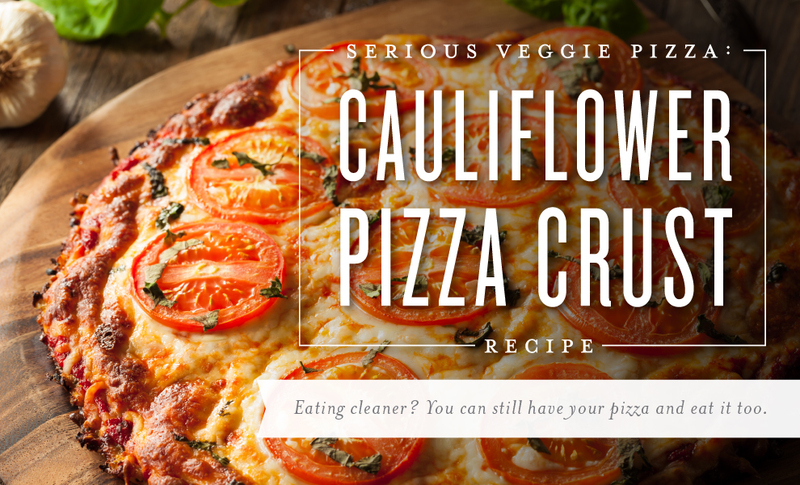 Sometimes it takes some creativity to get your recommended five veggie servings per day—especially when pizza is calling your name and you’re all out of healthy dinner ideas. 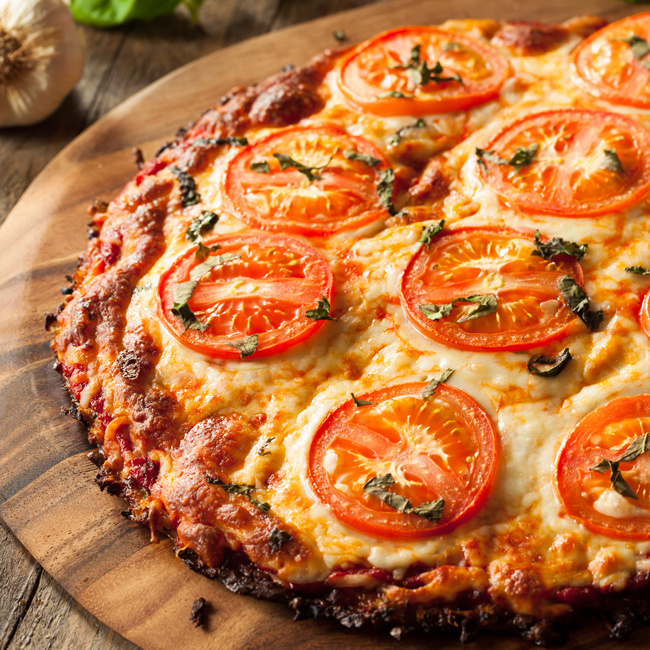 Check out our easy, essential oil-infused, gluten-free pizza recipe for cauliflower crust to fill your comfort food craving while packing in extra veggies. Wash the head of cauliflower and break off all florets. Grind in a food processor until texture becomes rice-like. Place on parchment paper on a baking sheet and roast for 5–8 minutes, watching carefully. You don’t want the cauliflower to brown, just to become soft. Combine cauliflower in a bowl with all the other ingredients. Clean hands mix the best! 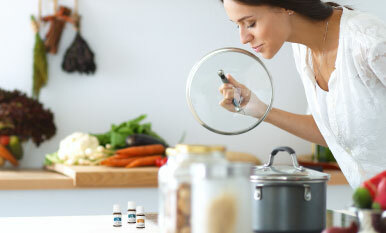 Place parchment paper on baking sheet and oil it. Pat down the cauliflower mixture until a flat circle. Bake for 8–10 minutes or until golden. Once cool, evenly spread sauce over dough. 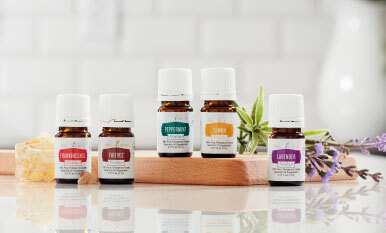 For essential oil-infused pizza sauce, blend: 1/3 cup sundried tomatoes, 2 minced garlic cloves, 1/3 cup extra virgin olive oil, 1 medium tomato halved, 2 drops Oregano Vitality™, 2 drops Basil Vitality™, and 1 drop Thyme Vitality™. 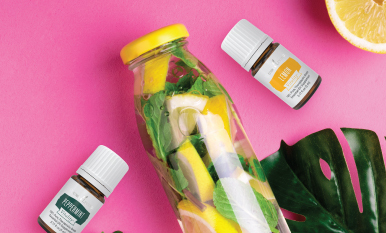 If you’re interested in more essential oil-infused recipes, check out our delicious Cinnamon Apple Chips or Homemade Thai Soup! What’s your favorite healthy pizza topping? Let us know in the comments!